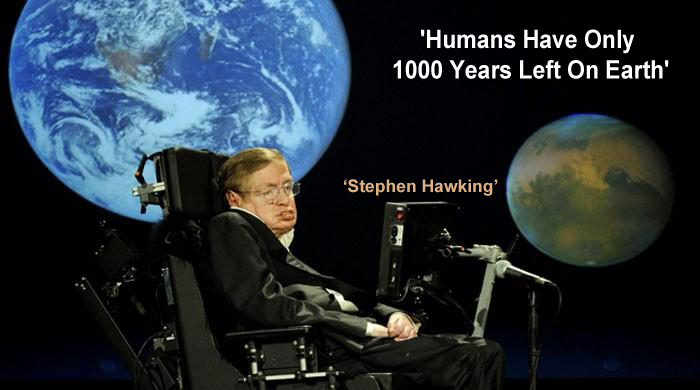 There are many people, who want to work in a place which is comfortable for them. Just like is the reason for the little girl who is seven years old. Her name is Chloe Bridgewater and she is from Hereford, United Kingdom. She has written a letter to Google CEO Sundar Pichai telling that she wants to work in Google. After taking a career advice from her dad she had written this letter. Chloe’s dad is a sales manager at a refrigeration hardware firm in the UK. 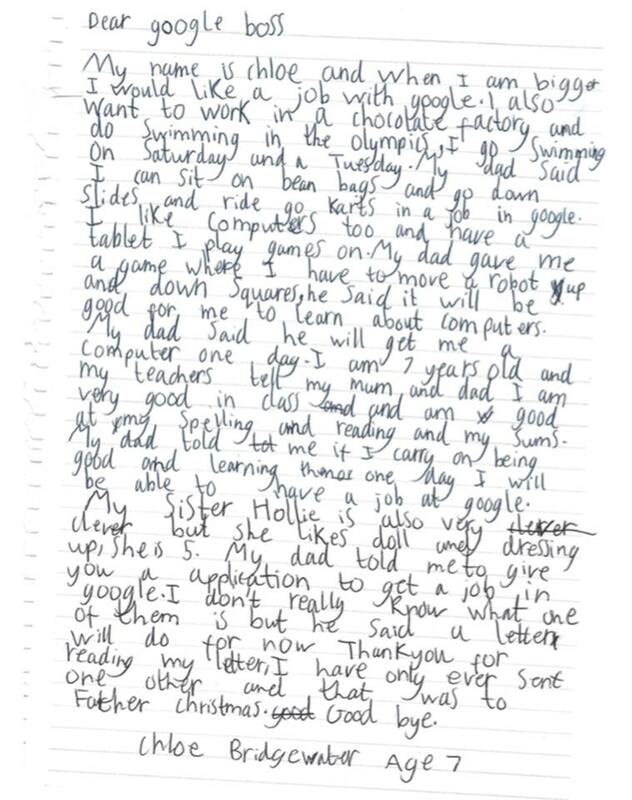 Chloe Bridgewater has written in her letter that when she is grown up she will like to work with Google. Apart from that, she likes to work in a chocolate factory and also wants to be a swimmer in the Olympics. After receiving Chloe’s letter, Google CEO ‘Sundar Pichai‘ said that in future she will wait for her job application. Now she should complete the schooling by working hard and make her dream flourishing. In that LinkedIn post, Andy Bridgewater said that the reply of the Google CEO acted like a booster which will increase Chloe’s confidence. His daughter was hit by the car a couple of years ago. He thanked Pichai for giving his precious minutes to his daughter and brings her one step further of her dream. In 2014, one kid’s hand written the letter was received by Google. 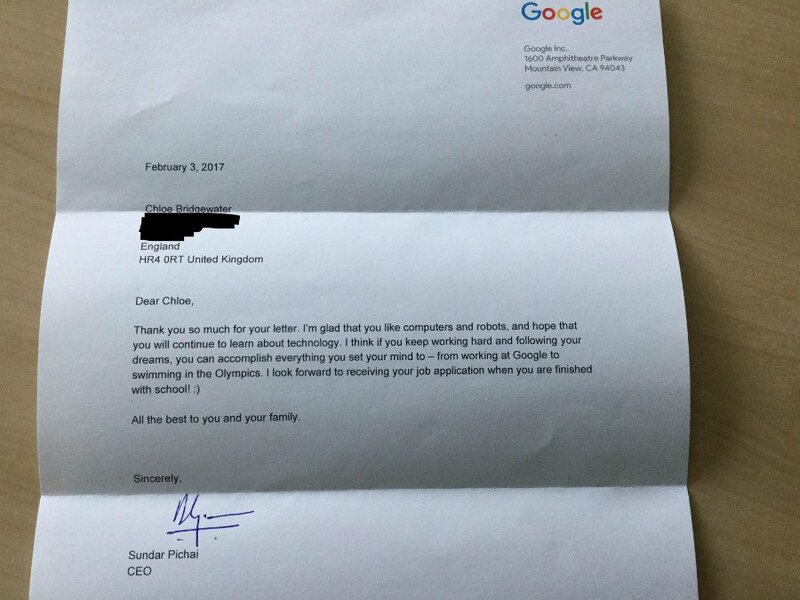 This letter was from a Google employee’s daughter Katie who wants her dad one day off from the work because she wants to celebrate his dad’s birthday. 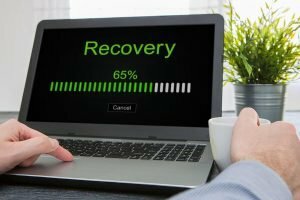 In reply, Google gave Katie father a full week off from the work.